When Emi Lord and her fifth grade classmates walk the red carpet at The Forum in Inglewood in a couple weeks, not only will her class’s environmental project on humpback whales be on her mind – after all that what’s earned the students an invitation to the California WE Day – she’s also hoping to meet some of the celebrity performers and activists face-to-face and talk with them about the project. In spite of very slim odds of even one class being invited to attend one of the exclusive annual WE Day events, two Mount Madonna School classes – the fifth and ninth grades – were both invited to participate based on their class environmental efforts and in-depth projects aimed at protecting humpback whales (fifth grade) and reducing plastic pollution (ninth grade). The effort is particularly sweet for the elementary students, as WE Days are primarily attended by high school students. And while the arena setting, cameras and numerous media might seem more reminiscent of a glamorous rock concert, on April 19 distinguished environmentalists and activist guest speakers will take to the stage alongside A-list performers to empower and honor tens of thousands of youth – including the Mount Madonna School students – in acknowledgment of a year of actions that have helped to transform communities and change lives locally, nationally and around the world. Fifth grade teacher Jessica Cambell learned of the WE organization from another local teacher, who encouraged her to submit her class’s annual environmental project and original, educational movie under the “Film for Change” category of the WE Schools program. Cambell did submit the project, and was surprised a short time later to hear from a WE representative that the organization was really interested, and plans to feature the students’ work in their upcoming newsletter. Meanwhile Silva applied to WE for her ninth grade marine biology students’ plastic pollution project. Both teachers were stunned recently to learn that both classes have been invited to attend the California WE. 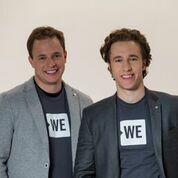 WE Day, and the multi-faceted WE organization (we.org) was started more than 20 years ago by Craig and Marc Kielburger. With their original Free the Children effort, the brothers – just children themselves at the time – set out to work with developing communities to free children and their families from poverty and exploitation, and the scope just kept expanding. 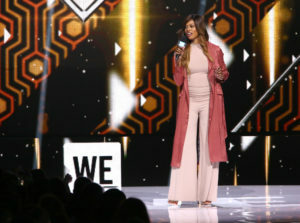 A total of 19 stadium-sized WE Day events will be held in 2017-18, in cities across the United States, Canada, the UK and the Caribbean; the Los Angeles event is the only one on the West Coast. The California event will be filmed for a one-hour national televised broadcast special airing on ABC on August 17 at 8:00pm ET (5:00pm PST). Among those scheduled to appear at the California WE Day are the inaugural youth poet laureate, Amanda Gorman, actors Morgan Freeman, Martin Sheen, Jennifer Aniston, John Stamos, Lily Collins and Will Ferrell, musicians including Dierks Bentley and Selena Gomez, Cameron Kasky and Jackie Corin, co-founders of the #NeverAgain movement and organizers of The March for our Lives, model and activist Winnie Harlow, Good Starts Young Ambassador and actress Monique Coleman, the Kielburger brothers, and many others. 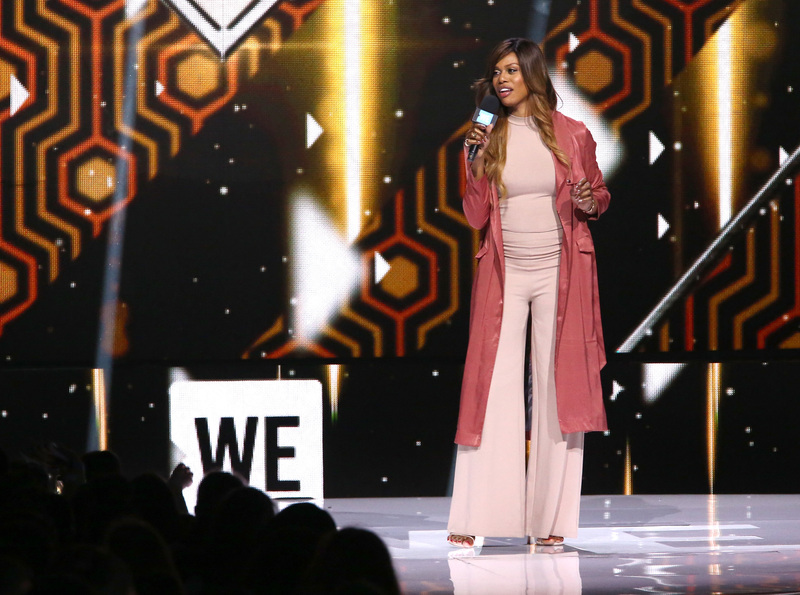 You can’t buy WE Day tickets, attendees earn an invitation based on service and merit. 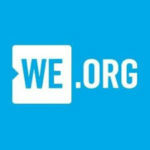 Throughout the yearlong WE Schools program, schools and groups take on one local and one global action and report back on their results to potentially earn a coveted invitation to WE Day. Attendance for invited guest is free thanks to event sponsors. Fifth grader Kinsey Don Carlos agreed.